YKK is the world’s largest zipper manufacturer. 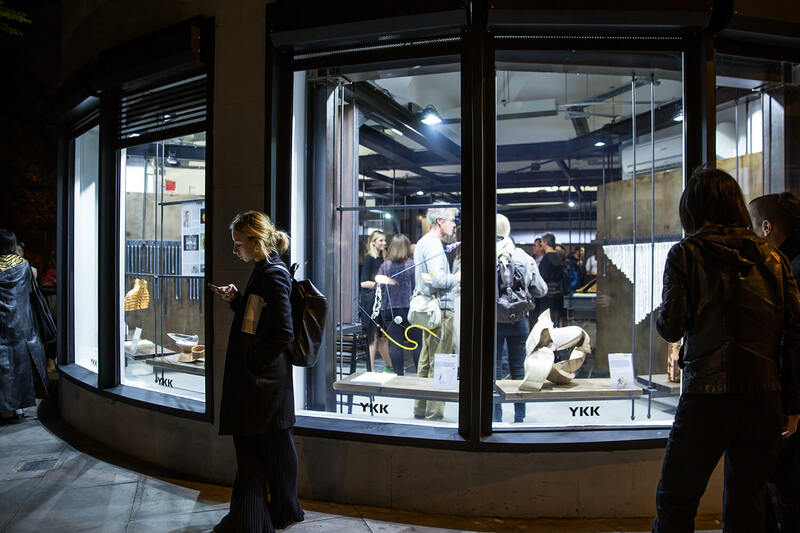 In 2015, the Japanese brand opened its first ever London showroom as a new destination for fashion designers and students that would allow YKK to directly engage with its audience. In 2016, to celebrate the showroom’s one-year anniversary, the brand asked Disegno Works to help it mark the occasion. 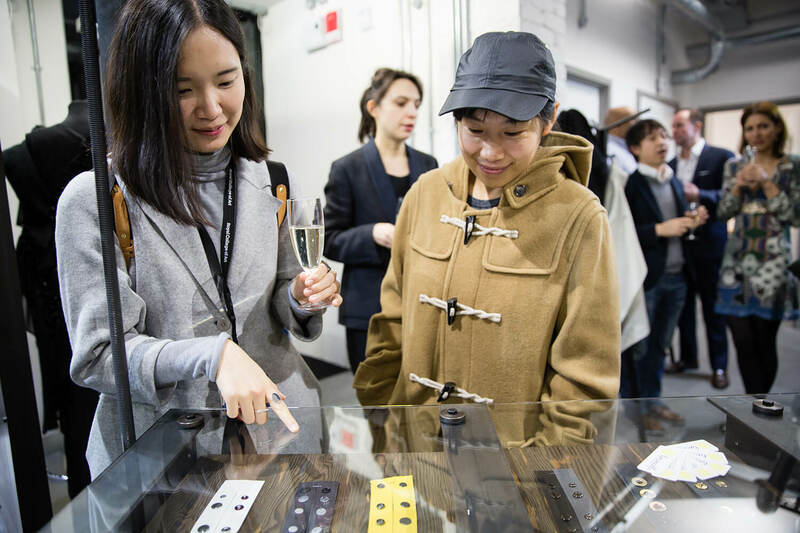 In response, we staged a panel discussion in the showroom which welcomed a series of fashion designers and architects to reflect upon the role of architectural spaces in shaping fashion. 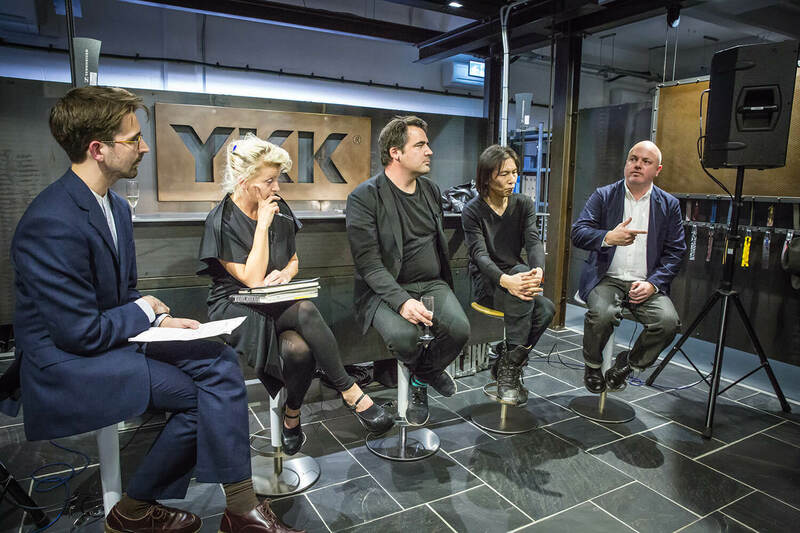 Chaired by Disegno’s editor-in-chief Oli Stratford, the talk invited Zowie Broach, head of Fashion at the Royal College of Art and co-founder of fashion house Boudicca; Alistair O’Neill, curator and Fashion History tutor at Central Saint Martins; architect and writer Sam Jacob; and Kei Kagami, YKK’s creative director and the designer of the showroom, to discuss their disciplines. Hosted in front of a full house of students and designers, the talk was complemented by a new documentary film shot by Disegno Works which explored the creation of the showroom, told through through the voices of Kagami and the luxury womenswear designer Martina Spetlova.